Can’t wait to click through and see all of these! Just had a baby so had a guest baker for these! http://www.oneclevermom.blogspot.com. Just commenting to get links emailed to me. Mine will go live midnight Pacific Time. Can’t wait to see how everyone’s turned out! Done and done! I thought these were really yummy! I find madeleines very hard to photograph. Remarkably better than store bought! In love with my new pan!! Made these buggers twice already since Saturday! I left out the powdered sugar, I end up wearing that! i tried to post yesterday but it didn’t seem to work….If I posted twice, my apologies. We had some technical difficulties with the site last night. it’s up & running now. Thanks for stopping by!!!!! Forgot to post the link last night. 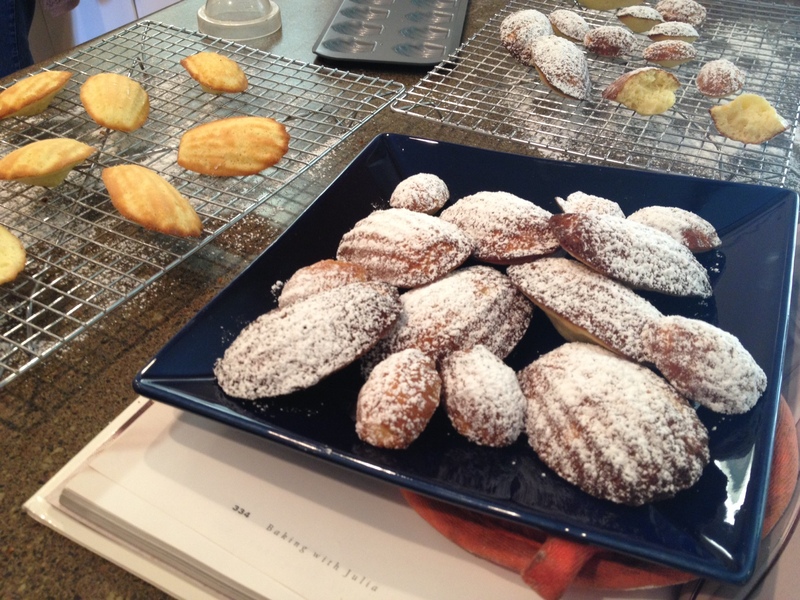 Mine are betwixt between madeleines and ladyfingers. taking a cat nap or washing house.